Volunteers are needed preparing for the sales and during the sales. Preparation is on-going as we sort books by subject categories, price the better books, and box the books for moving to the sale site. We also need people to load and unload boxes of books on to a truck right before the sale starts. During the sales, we need volunteers to sell the books as well as add to and straighten the books during the actual sale. At the end of the sale we need a large crew to re-box the books, load the truck, and return the boxed books to the sorting facility. This is a great family activity as we frequently have multiple generations join us. Contact either of the two coordinators: Becky Parker at parkers@macomb.com or Elisa Rasmussen at erasmus@fabtimes.net for more information or to volunteer. Short book reviews are always needed for our weekly column “What are you reading?” published in the McDonough County Voice. Email a short review along with your name and occupation to k-joswick@wiu.edu. Encourage your friends, children, etc. to submit reviews to Kate for the paper. You can submit more than one review. 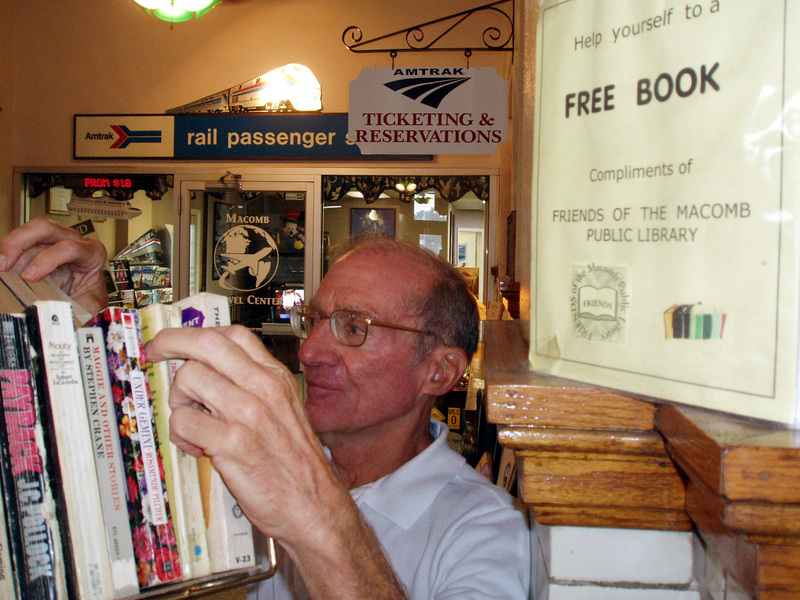 Every Thursday a volunteer fills our book rack at the train station with “free” books — books that are good, but not in saleable condition or are left over from sales. 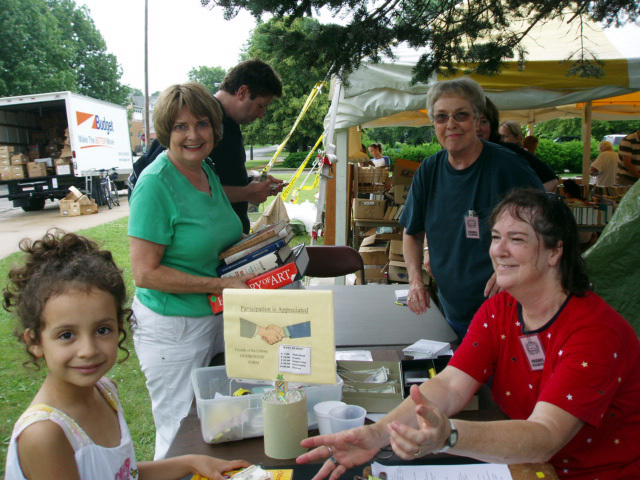 A volunteer signs up for one Thursday a month OR signs up as an “alternate” to be used if someone cannot deliver the books during their assigned week. Contact mpweiss@macomb.com for more information or to volunteer. Volunteers are assigned a small section of the library to shelf read. By keeping books in order, this program helps patrons find books they want and helps library staff by freeing them to attend to library procedures. At their convenience, hopefully once every two weeks, they check their assigned shelves and correct errors. Training is provided for new volunteers. Interested parties should call the library, 833-2714, and ask for Renee or leave a message for her. 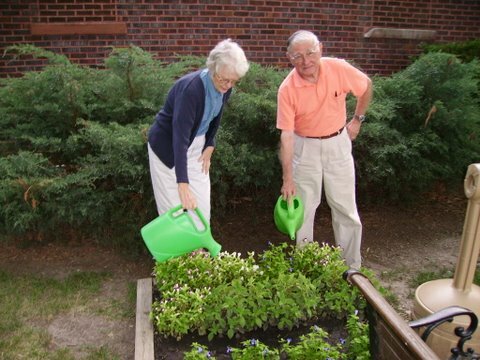 Assist in maintaining exterior projects to beautify the grounds of our library. Volunteers are needed to help with the children and youth movie times. See Miss Tiffany, the Children’s Librarian for dates and details.